I'm having trouble selecting individual the corresponding polygon in my parcel data based on the location of a property. It seems obvious, but what am I missing? I have a list of geocoded properties labeled as "active". Then I also have polygon parcel data. I'd like to iterate through the list of active properties and determine which parcel and the accompanying data that corresponds to. I am trying to use Select by Location, however it is not returning any values. Any thoughts? As indicated by Hornbydd, the layers had different coordinate systems. 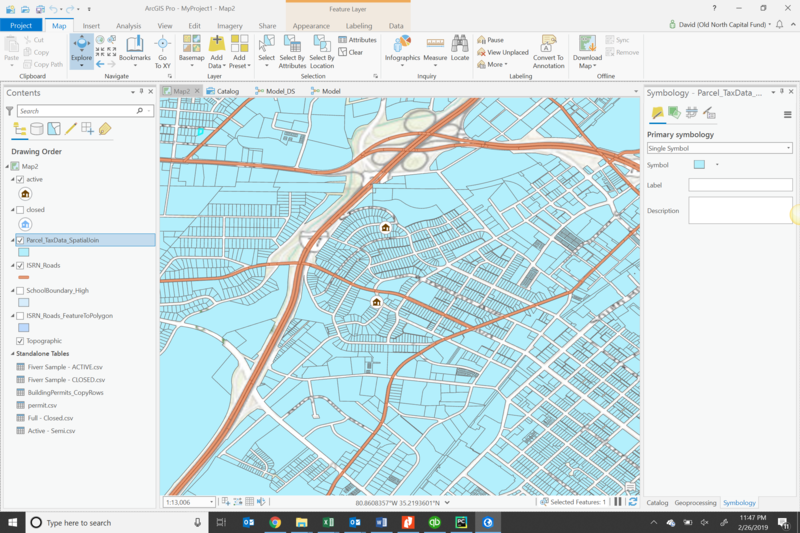 You can check this in ArcGIS Pro by going to Properties > Spatial Reference > Geographic Coordinate System. The solution was to take my parcel data and "Reproject it" using the project tool. Just make sure when you project it you are using the same coordinate system as your other items. Not the answer you're looking for? Browse other questions tagged modelbuilder arcgis-pro select-by-location or ask your own question. 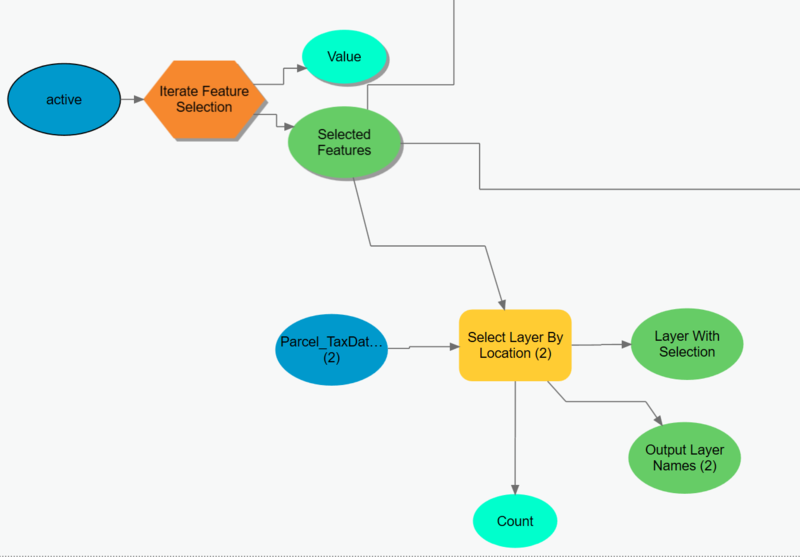 Creating iterative Select by Location, Summary Statistics tool using ModelBuilder? Creating summary statistics table with as many rows as iterated features?